REGISTRATION IS NOW CLOSED. CALL THE OFFICE IF YOU PLAN TO ATTEND PLEASE. Enjoy the holiday season with friends old and new while enjoying delicious refreshments. 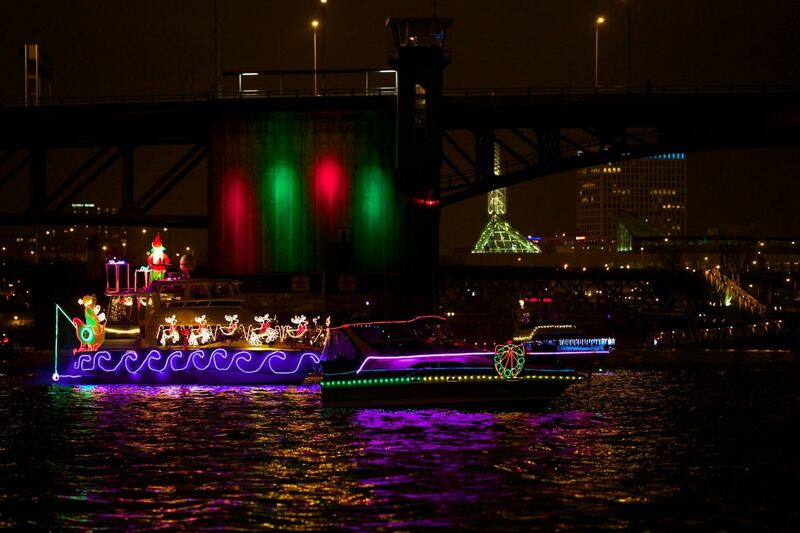 Bring a business card along to enter in a drawing for great door prizes.From around 7pm the view of the Willamette gets even better, as different water craft decked with Christmas lights sail right past our windows! Bring a business colleague or friend with you also, and come celebrate and get to know new JASO members. If you’re a Sponsor Level corporate member or above, you get 2 tickets at no charge. Simply select this option as you register! Thank you to our friends and supporters at Mackenzie, Sapporo, SakeOne, and all donating door prizes.